While the snow and cold of winter can create a wonderful backdrop for the holiday season, it does have some drawbacks, especially when it comes to the roadway conditions and the increased likelihood of getting into accidents. The good news is, however, that there are some things that drivers can do to reduce their risk of getting into traffic accidents and to stay safe during their wintertime travels. In this blog series, we will present some winter driving tips, some of which came from the National Highway Traffic Safety Administration (NHTSA), the National Safety Council and AAA, just to name a few. In the unfortunate event that you do end up getting hurt in a traffic accident, don’t hesitate to contact Colorado Springs Car Accident Attorney Kenneth Shakeshaft. He is dedicated to helping people injured in car accidents with their financial recovery. These winter driving tips can help you reduce your risk of getting into a traffic accident this winter. Contact us for help with your financial recovery if you’ve been hurt in a traffic accident. While winter road conditions can be dangerous, the wet, cold and icy weather of winter can negatively impact how your vehicle operates. This can, in turn, mean that your vehicle is more susceptible to breaking down in the wintertime. To avoid being stranded on the roadside during harsh winter conditions, make sure your vehicle is prepared to take on these less ideal conditions by getting it serviced, inspected and maintained if you did not already to do so in the fall. The electrical system – In particular, make sure that your vehicle’s battery is fully charged and, if there is anything wrong with it, have it replaced. Additionally, checking the electrical system should include checking the drive belts, the ignition system and all of the vehicle lights. The brakes – Being able to slow and stop cars is critical regardless of the weather conditions, but it can save lives when the roads are icy. So, be sure to replace or have your brakes repaired as necessary. The tires – Good tires can be just as critical as good brakes for getting through harsh winter conditions. So, make sure that your tires have sufficient tread and air pressure and that you get your tires replaced if needed. The exhaust system, the heating/cooling system and the wipers/wiper fluid/windshield are also important to have checked and maintained (as necessary) in order to effectively and comprehensively prepare your vehicle for grim winter conditions. 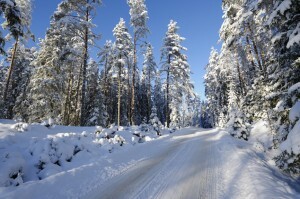 Preparing your vehicle should also include putting a winter kit in your car. For some more winter driving tips, check out the additional installments of this blog series that will be published very soon! Have you or a loved one been hurt in a car accident? If so, Colorado Springs Car Accident Attorney Kenneth Shakeshaft is ready to advocate your rights, help you recover financially and ultimately help you put your life back together. Since 1982, Kenneth Shakeshaft has been providing people injured in traffic accidents with superior legal service, helping them stand up to insurance companies and bring their cases to successful resolutions.